You are searching about voice over jobs because you have started your journey in voice over industry a few days/weeks/months back or you are just starting out to grab your first project. To be frank, getting voice over work is like getting projects for any other artistic work. You need to market yourself well, but you cannot compromise with talent and what the client demands. To begin with, forget about getting dubbing work, as it requires some prior experience and is much more difficult than a normal voice over script. Voice over jobs are available in abundant, but you need to knock the right door to get the work for yourself. I will focus on online and offline mediums for you to get voice over jobs. Your own website: You should definitely start your own website, if you are taking this profession very seriously. On your website, you need to upload your portfolio along with the services you are providing. You have to do proper SEO of your website (hire someone or do it yourself). Do not put your voice over rates, but just make your contact details visible. Join Freelance websites: Along with creating your own website, you can register yourself on various freelance websites to get voice over jobs. You can search for various open jobs related to voice over and you can bid for that project. Few freelance websites are odesk, upwork, freelancer. Make a gig on Fiverr: This has been my personal favorite when it comes to getting voice over jobs online. I have been on fiverr for nearly a year now and have earned $1k+ within a few months. All I did was – create a professional gig there and start providing my services. It has loads and loads of targeted traffic. Upload on Youtube: You should always create portfolio videos of your work and upload it on Youtube. Do proper SEO of your Youtube video and it will start ranking easily. There are enormous opportunities to get work offline. Only one quality of yours work here before your voice over talent. It’s your networking quality. You need to start searching for voice recording studios/sound recording studios near your place and you have to visit them personally and provide them your voice over samples. Just have a talk with them and if they ask you to record a sample at their studio, then do not hesitate to do so. Inform them that you are available for work at good rates. If you have any queries about voice over and voice over jobs, then you can leave a comment below and I will give you a reply ASAP. Many people give a very strange reaction when they the term known as Voice Over Artist. Some confuse it with voice calling service and some are clueless about what the heck is this. Well, I am a voice over artist and I am here to tell you each and everything about it. This is one such place where you will get enough knowledge bombs about this arena than anywhere else. The reason behind this alienation to this word is because, it’s not covered by media and no one talks about this field of work, even though the work in voice over industry is huge. Media industry is incomplete without voice overs. Who is a Voice Over Artist? You turn on your radio and you hear a voice, that is done by a radio jockey or a voice over artist. You switch in your TV, and you hear advertisements and narration of various shows, that is done by a voice over artist. You see English movies dubbed in Hindi, that is done by a dubbing artist. You surf internet daily and you see many videos which has a background voice with it. Yes, it’s the work of a voice over artist. Voice over acting is yet another sub-niche of voice over. A person is acting just through his voice, which is much more difficult as you can’t give any facial expressions. All these projects are undertaken by a voice over talent. In India, the demand of voice over actors is huge, but no institute or school is teaching about this profession. The whole herd is moving towards acting arena or singing, but they are missing out on huge opportunities as a voice over actor. New Delhi and Mumbai are the major hubs of voice over projects and all the work such as dubbing for cartoons or English shows is done here. Voice Over artists also prefer to take online from various freelance websites. If you are a complete newbie, then you can visit this Voice Over Workshop page to learn about voice over acting. Rest, I have also added my voice over portfolio, and you can get an idea about what kind of work I am talking about. To start with, you all must know what is a voice over, and you can read some articles related to it from our blog. Talking about the Indian voice over scenario, I can confidently say that there is a lot of scope in this industry for newbies as well as experienced artistes. The strong reason behind is that the never ending work in this industry. So, you see, there are so many arenas in Indian voice over industry in which you can lend your voice for a project. And the projects are not only available offline, but they are in abundance in online also. You just need to know where your targeted audience is. To get started as a voice over artist, you can join our one day voice over training which takes place frequently in New Delhi every month. One more thing which I would like to mention here is that, always give priority to your quality of work. I have seen many professionals not focusing on after sales service. Well, this is a really bad practice to follow as you are losing a lot of business due to this. What happened in our voice over training? How did the participants felt after taking your voice over training? Well, all your questions will be answered in this post. First let’s clear some air surrounding what are voice overs? 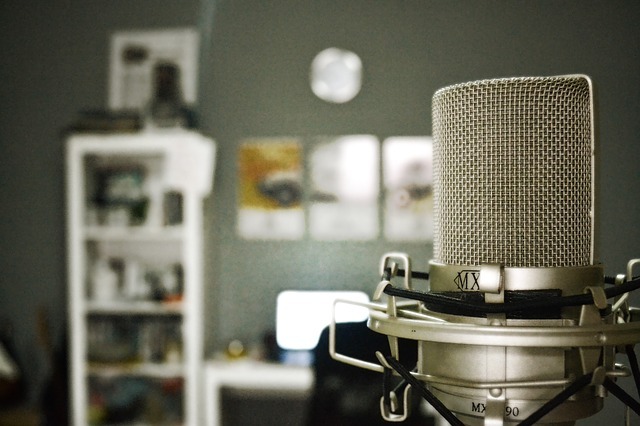 Voice overs is lending your voice to a particular project and that project can be a TV commercial, Radio commercial, TV show, elearning modules, documentaries, audio books, children stories, Radio spots and many others. You come across voice overs in your day to day life by listening to commercials on radio and TV. You also hear voice overs in explainer videos of various websites and apps. So you can judge the amount of work available in voice over industry. You do not to be at a particular place to get voice over projects, but they are easily available online. You just need to put some efforts and work would start flowing in. If you want to know more about me, then you can visit About Us section. I have been giving voice over training from past few months, but officially on 20th Feb 2016, I took first voice over training in New Delhi in association with Melody Recording Studios. And the list is endless.. Here is a glimpse of our training session. The best part of such training is that the participants came with different experiences and from various verticals. One participant was really good in Bengali language voice over apart from Indian English and Hindi voice over. Another participant had a plus point in doing voice over for elearning modules and IVRs. You may even go for different accent voice overs which one of our participant did. She had a great hold over US English accent along with Indian English and Hindi. So, if you too wish to know about voice over and this industry, then you can enroll for our next voice over training in New Delhi which is happening on 19th and 20th March 2016. Apart from being a voice over artist in India, I am also working with The Digi Experts as a digital marketing trainer. Talking about The Digi Experts, it was founded recently by Mr. Ravi Chopra who is successfully running a digital marketing agency – Click Bazaar from past 3 years and has been into this industry from last 6 years. Why I joined The Digi Experts as a core team member? I have been building websites and running Facebook campaigns from a long time and am well versed with the changing digital marketing trends. Many marketing experts are also shifting their marketing investment towards digital marketing from traditional marketing. I met Ravi Chopra few months back over a cup of coffee and he told me about this huge plan. Earlier, I didn’t thought of connecting with The Digi Experts but was totally sure of its success in near future. Then an idea erupted in our minds that why not I join the company as a team member there and do something for the digital community. Talks went ahead and here I am writing this post, sitting in the office of The Digi Experts. Why was it a game changer for me? Ravi Chopra is a total workaholic, but a chilled out human being. Do not try to judge him by his age as he can easily beat the who’s who of this industry with his knowledge and experience. The Digi Experts is co-founded by Sahil Arora and he has a strong marketing background too. On a serious note, I have developed some seriously good habits from him and the working culture at The Digi Experts is what one would want. Daily there are batches of students coming at the institute, gaining some valuable information about digital marketing and then implementing them in their ventures. Most of the students are business owners and professionals who are looking to give a boost to their sales and profits and rest are people looking to make a career in this industry. Here at The Digi Experts we are providing hands on training to the students along with 100% placement assistance too. Well, I think thats all from my side about my ongoing experience with The Digi Experts. If you wish to make a career in digital marketing or want to launch your own successful campaigns or even aiming to build a part time business, then The Digi Experts is the right place for you. This post is for those who wish to have voice over done for their projects. Himanshu Khanna is a delhi based voice over artist and digital marketer by profession. He started his voice over journey in 2011 by taking training under Mr. Neeraj from voiceartistes.com. Background: I have been into doing debates, anchoring for various shows from his college days and then started to work in this field professionally. I currently work as a hindi voice over artist and Indian English voice over artist. Apart from this I have worked for Prime Focus Studios, Noida as a dubbing artist for various shows telecasting on NDTV good times, FOX life, Nat geo. I am also a professional anchor and run my own channels on YouTube which focuses on restaurants and movie reviews. You can visit The Portfolio Section to see any of my work in Hindi/English language. The charges depend on the quantity and genre of script.